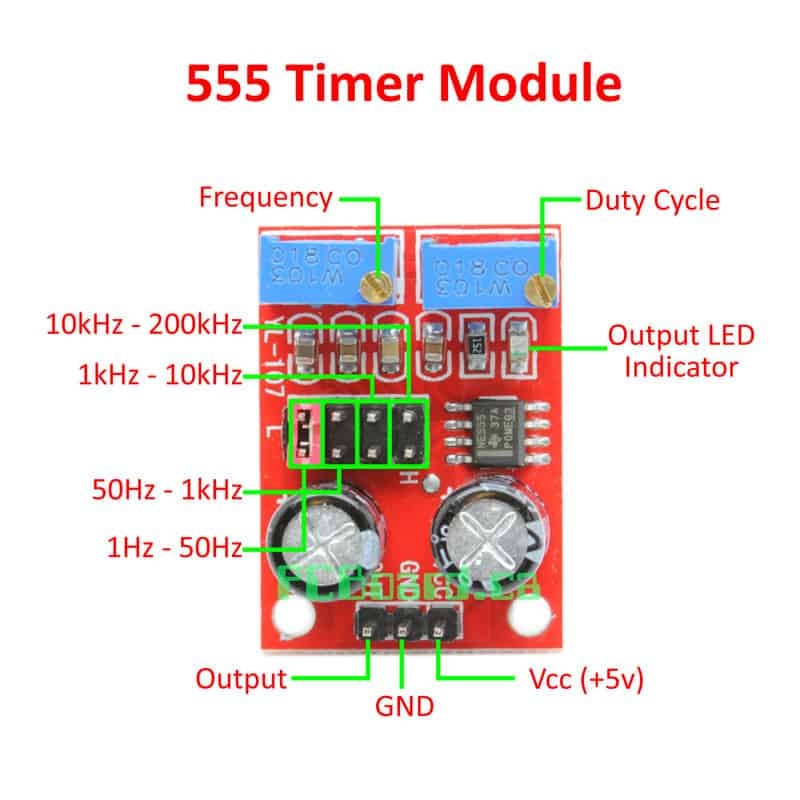 This module can be used in your prototyping process as a square wave signal generator to produce square wave signals for experimental development use, or in applications such as driving stepper motors, as an adjustable pulse for microcontroller applications. 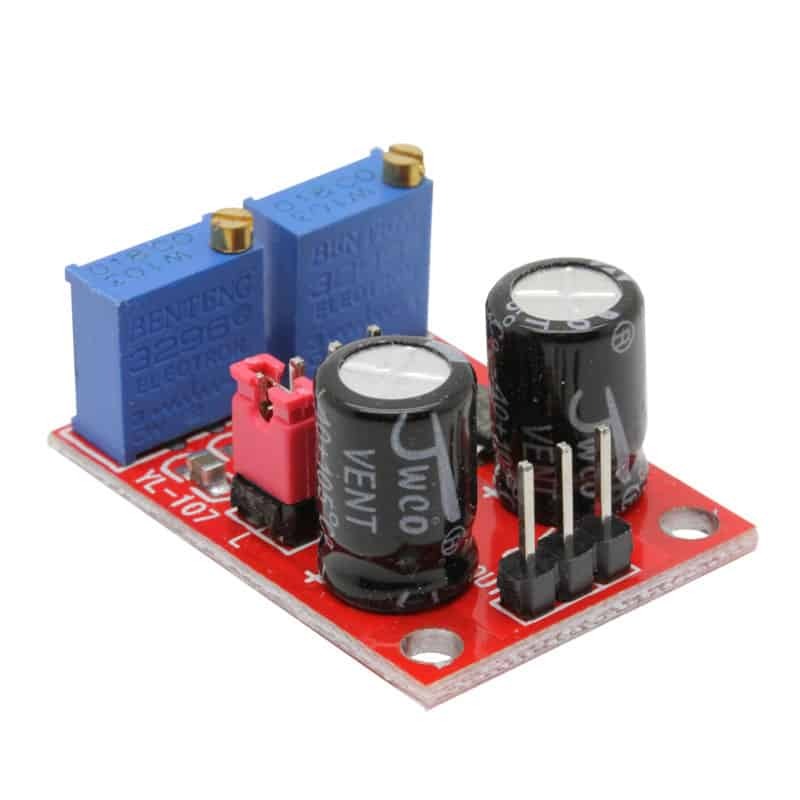 Although only 3.2cm (L) and 2.3cm (W) (1.3" x 0.9"), the board boasts an NE555 timer chip configured in four frequency ranges, 1Hz to 50Hz, 50Hz to 1kHz, 1kHz to 10kHz and 10kHz to 200kHz all adjustable with an onboard jumper along with two trim-pots to adjust the output frequency and the duty cycle. 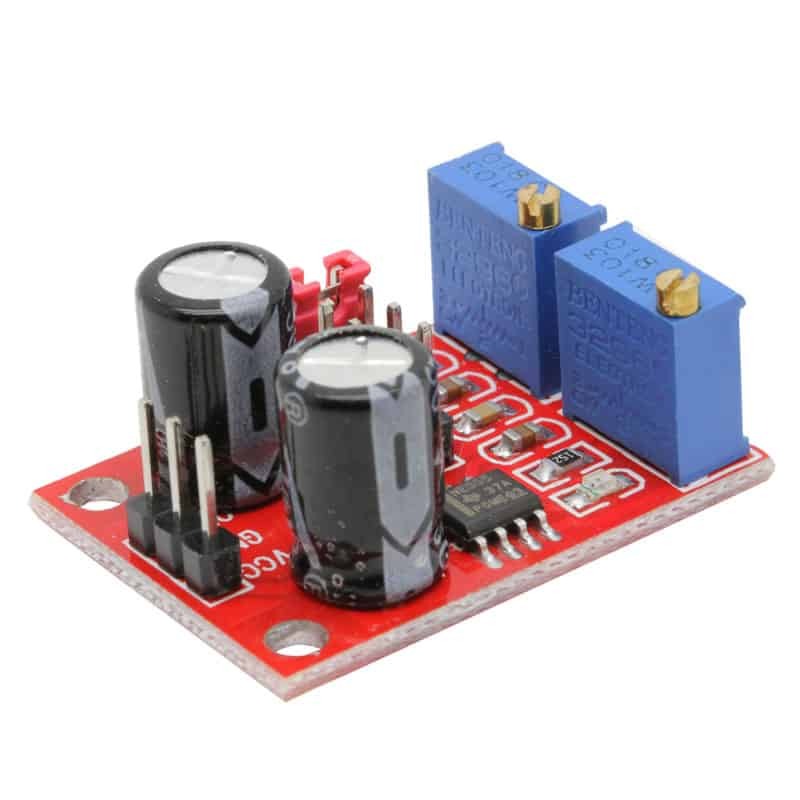 Input voltage to the module is variable from 5v to 15v DC and draws approximately 15mA at 5v (35mA at 12v) with a output amplitude of 4.2v peak-to-peak to 11.4v peak-to-peak (based on supply voltage). 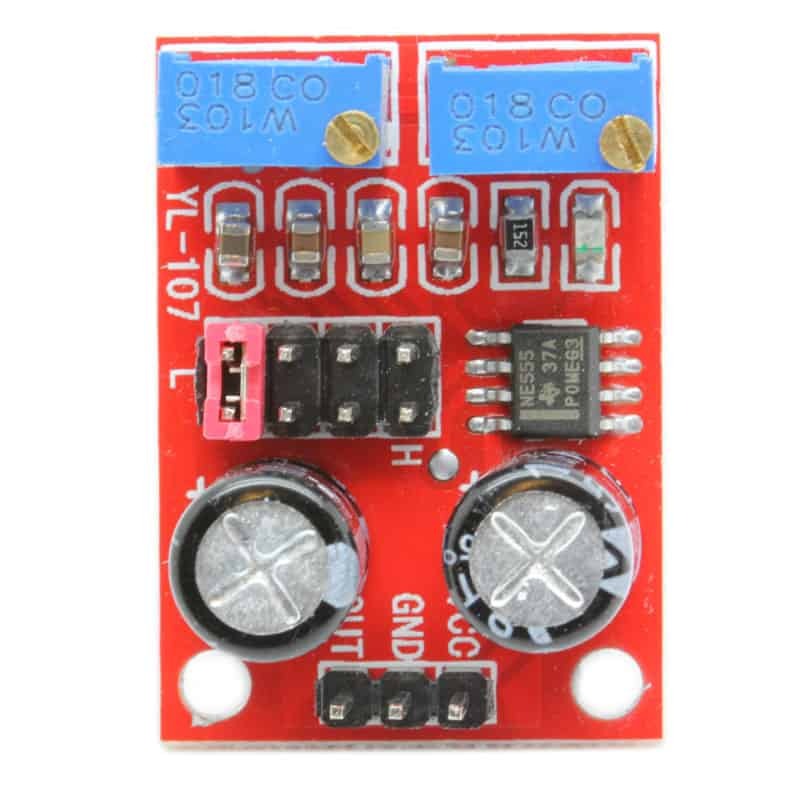 Included onboard is an indicator LED indicator which illuminates on a low-level output and flashes relative to the output frequency. 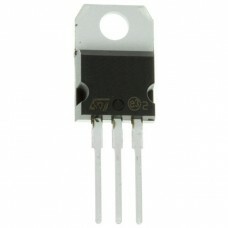 At higher frequencies, the LED will appear to be on solid and without a visible flash. 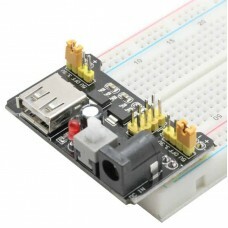 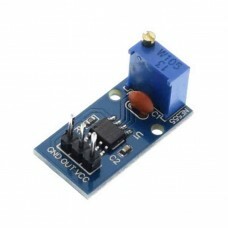 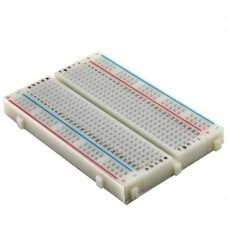 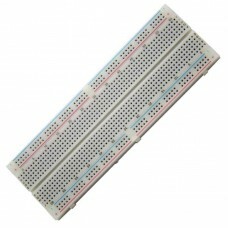 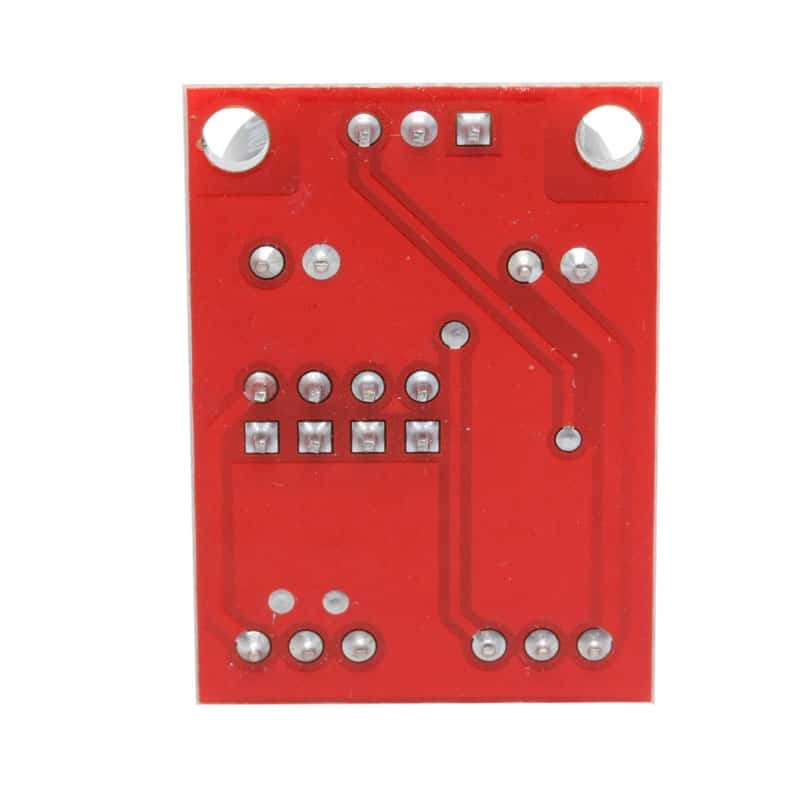 NE555 Timer Module Breakout Board The breakout board contains a single NE555 timer chip comple..